This unit is for McPherson inverted tube design. φ55mm strut can bear outside strike and uneven roads or bumps. The aggressive and reflection caused by uneven road or bumps are eliminated on rubber upper mount. 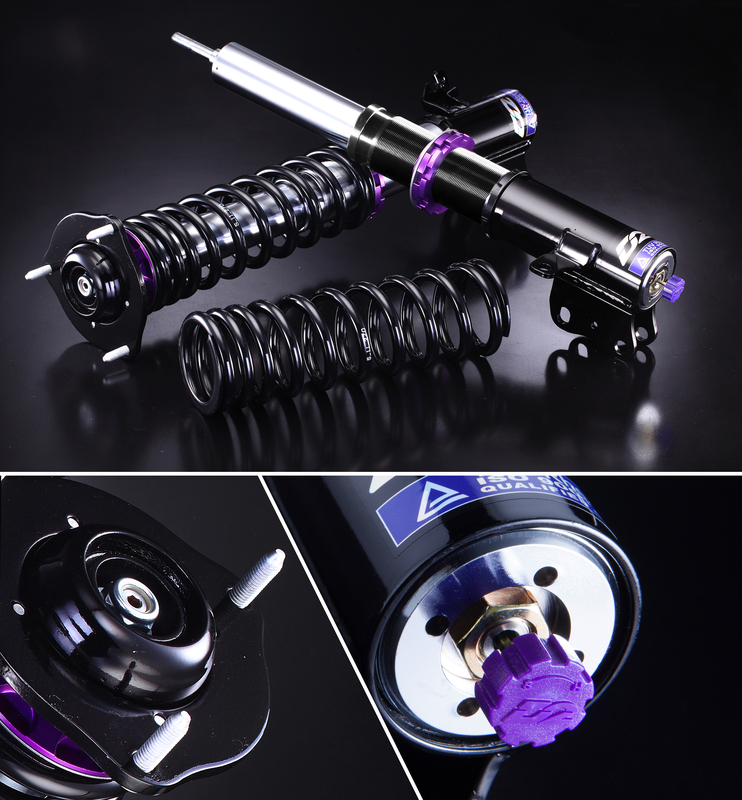 It is necessary to use rubber upper mount to prolong coilovers' lifespan. The aggressive and reflection caused by uneven road or bumps are eliminated on long stroke and long spring. The ride height adjustment is made of steel materials to enhance the safety and durability. The number of manufacturers in the world who can produce Rally Snow/Rally Gravel coilover kits is less than 5. Four of these 5 manufacturers offer 200~600% much higher price than us and none of their coilover kits are covered by warranty. It's very difficult to predict how much impact that Rally Gravel/Rally Snow coilover kit can undertake so we can not provide the warranty on our products.